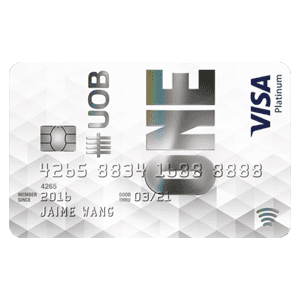 Good cashback credit card for those who have high spending amount every month. I use it to pay my insurance premium as it gives cashback for insurance premium. 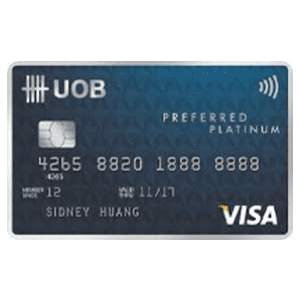 I only use this card when i know that i will spend >$2000 that month and these transaction doesn't earn > 2.5% cash back in other card category. Honestly speaking, i don't really like their internet banking layout. It doesn't seems very friendly to me. Therefore i always rely on the paper statement to make payment. My experience with their customer service officer isn't fantastic, they didn't get back to me on the queries i highlighted. 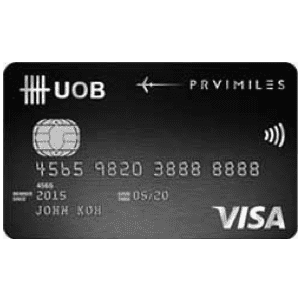 I use this for big purchases, you get more cash rebate using HSBC Adv Card vs SCB Unlimited Cashback. I have this card too! There is a lot of rebates too which I can use to offset my next purchases. 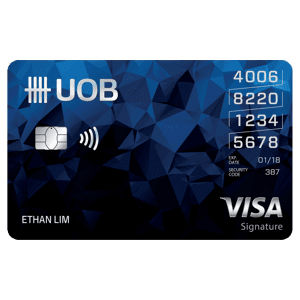 I signed up this card with Bankbazaar and even got $100 vouchers. There are a lot of promotions going on for this card! This ranks pari passu to SCB unlimited card. 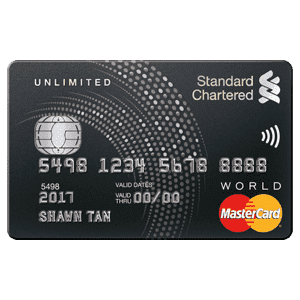 However, i can only think of one differentiating factor that pulls you over to HSBC, the $5 entertainer benefit coupled with the 1.5% cashback. If minimum annual income requirements are not met, a minimum Fixed Deposit Collateral of $10,000 is required. 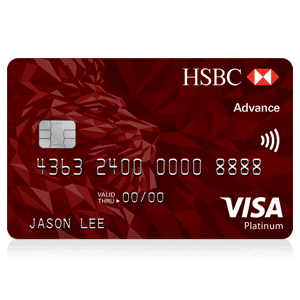 2.5% Cash Back with no minimum spend / 3.5% Cash Back on all purchase with $2,000 minimum spend per month, capped at $125 per month, only applicable to HSBC Advance banking customers. Transactions not eligible for cash back include: cash advances, balance transfers, bank fees, tax payments via HSBC tax payment facility, instalment payment plans, brokerage fees and more. For the full list, please refer to the HSBC Advance Card’s T&Cs. For more info, you can check out HSBC Advance Card’s page.